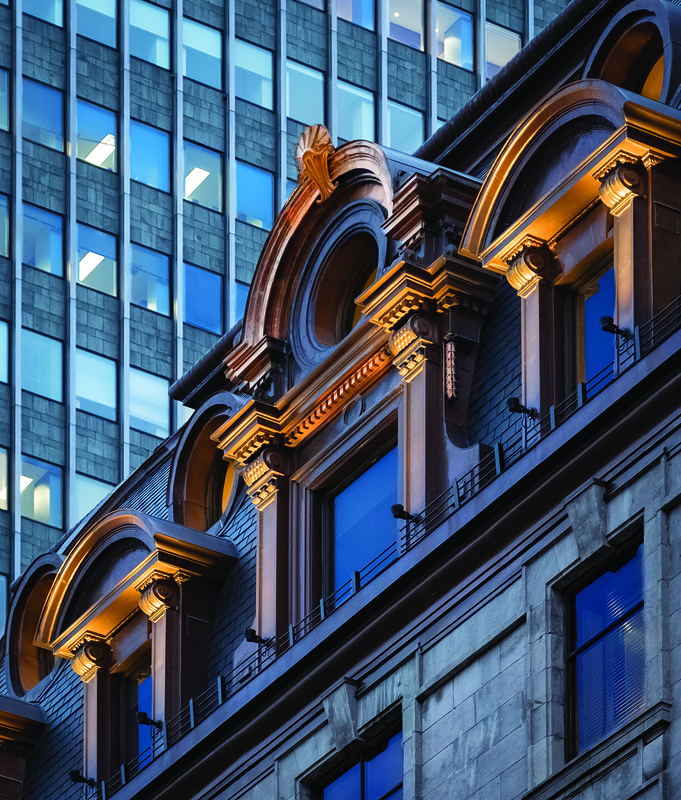 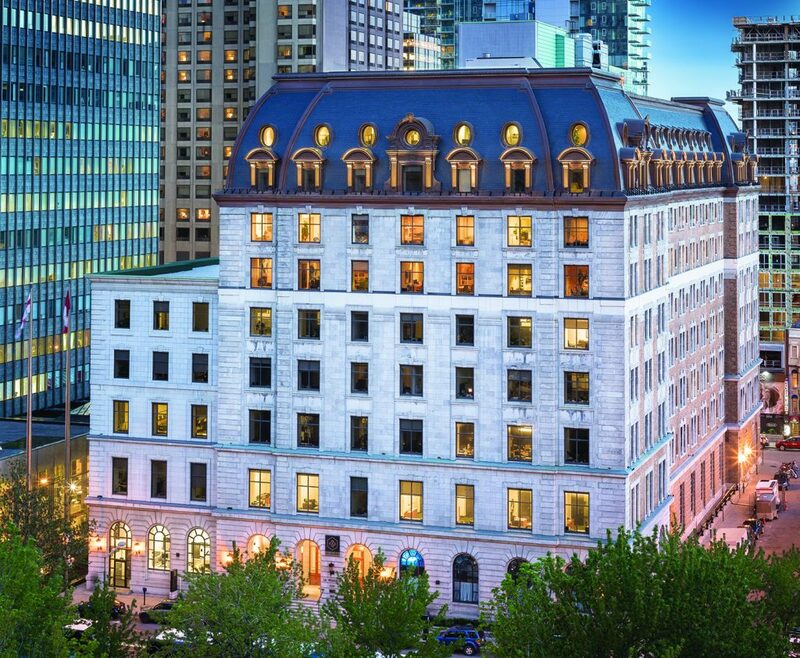 The Windsor building, located at 1170 Peel Street, has more than a century of history. 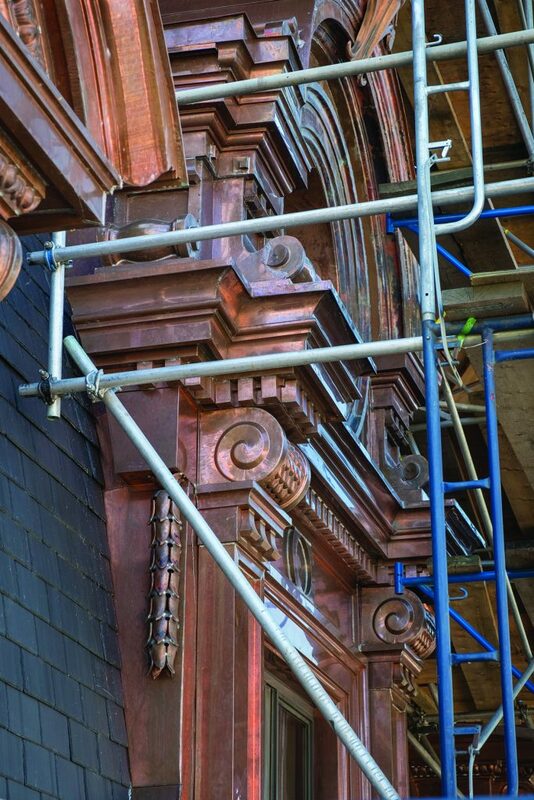 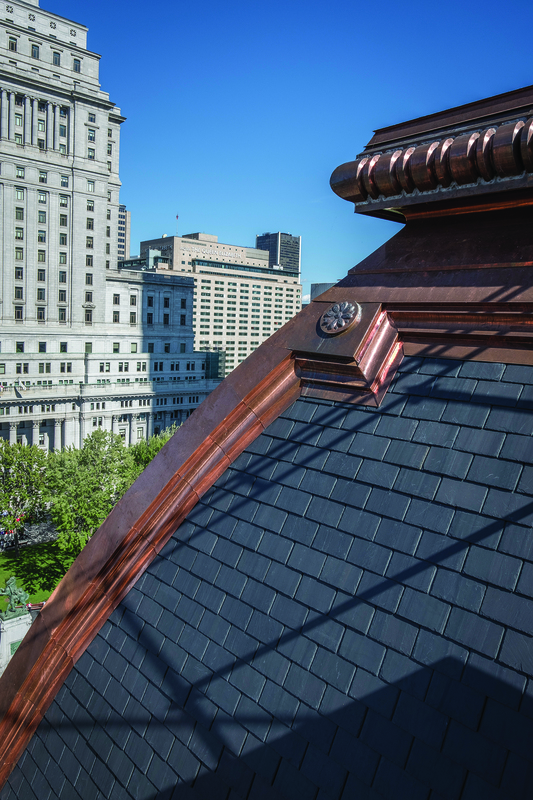 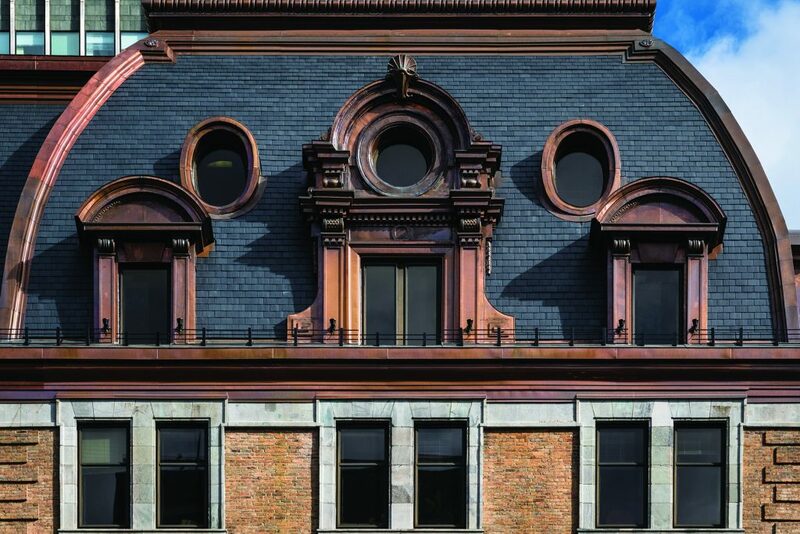 At the top of its facades is a two-story mansard roof topped with dormers and oculi adorned with copper. 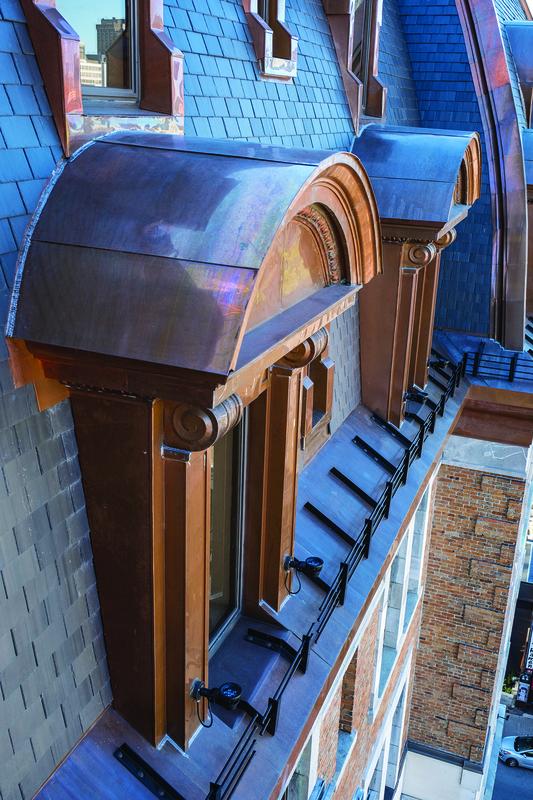 Having reached the end of their life expectancy, the mansard roofs were the subject of a rehabilitation project started in 2013. 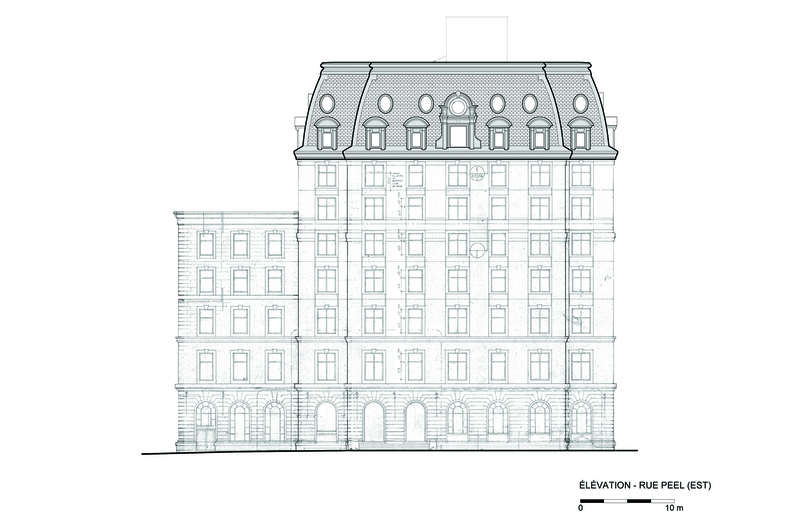 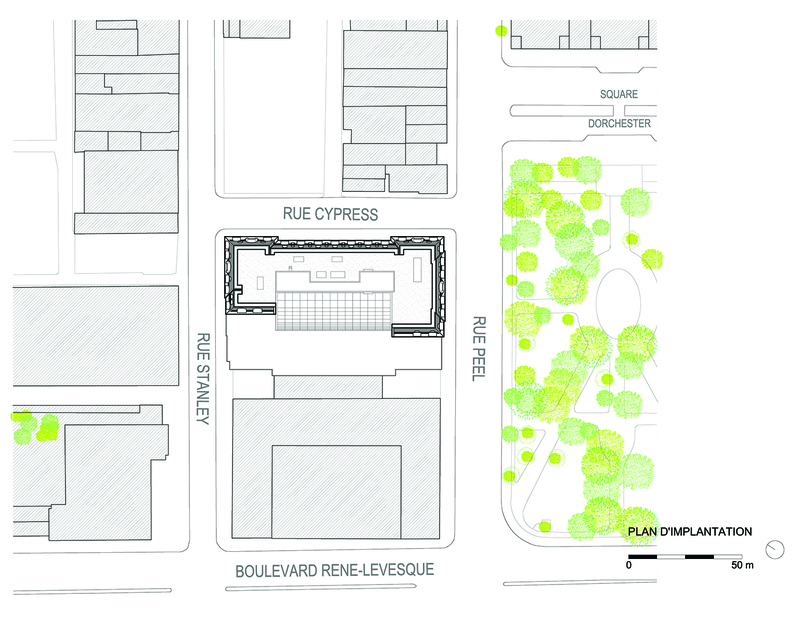 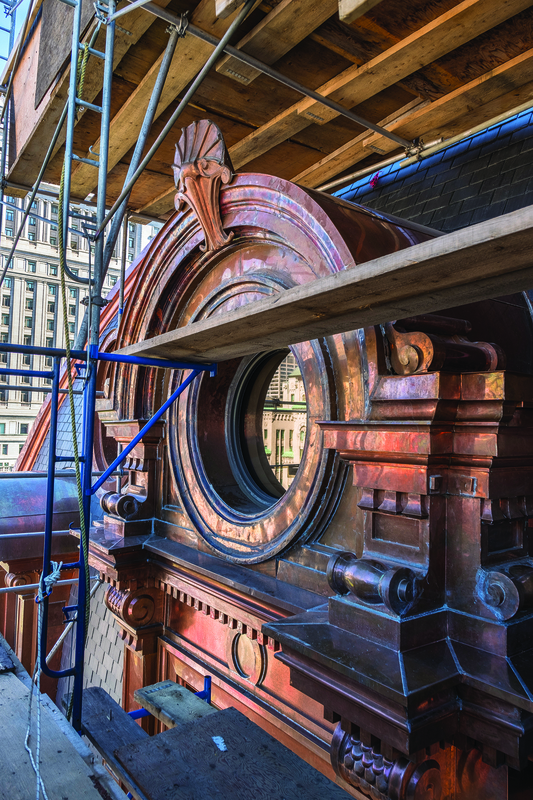 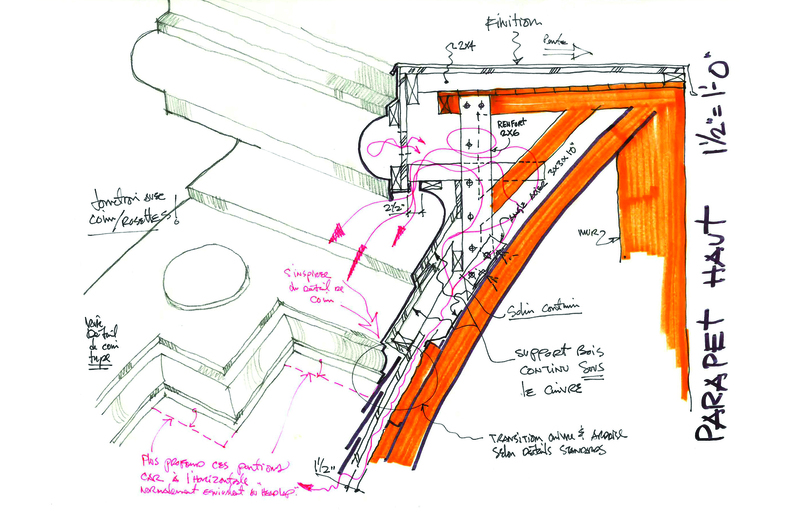 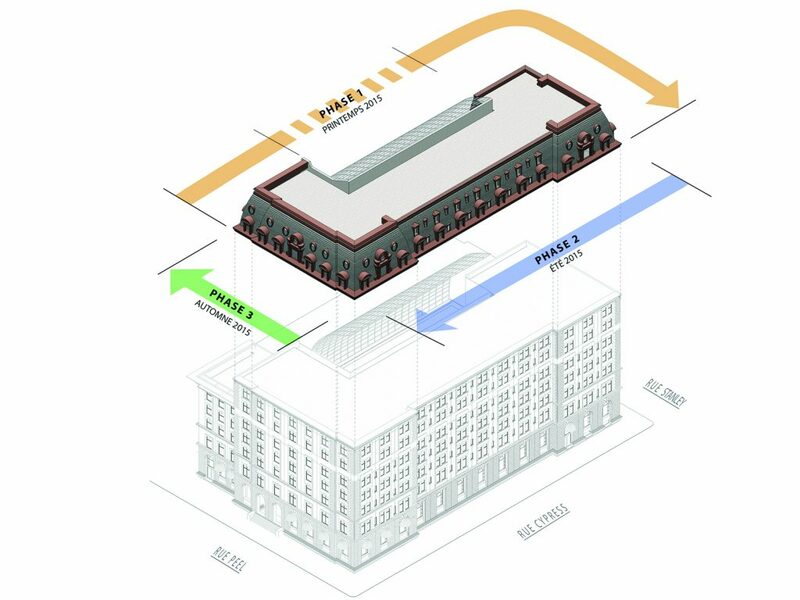 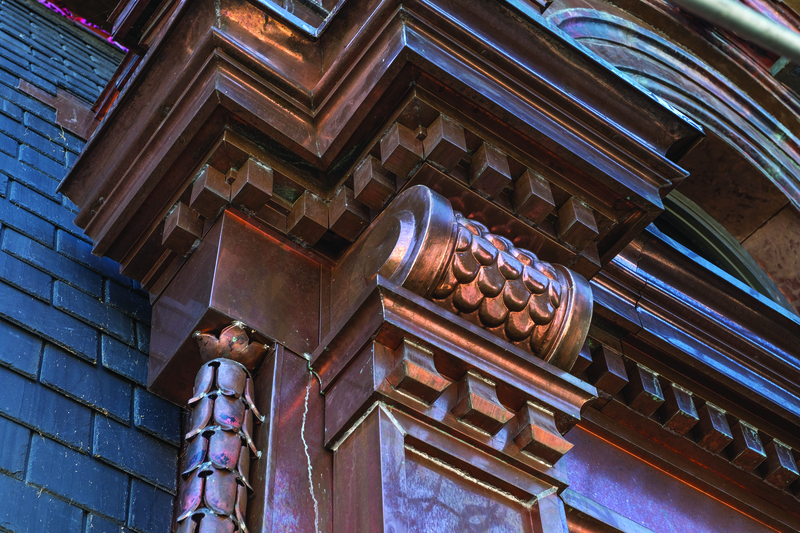 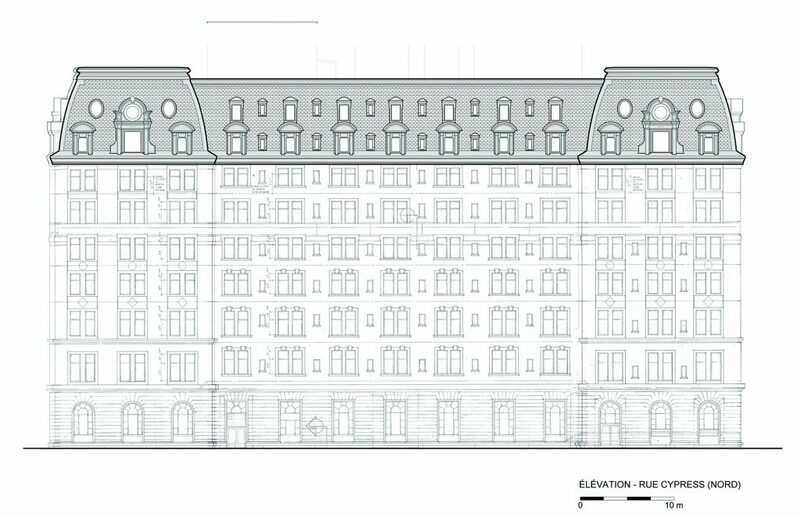 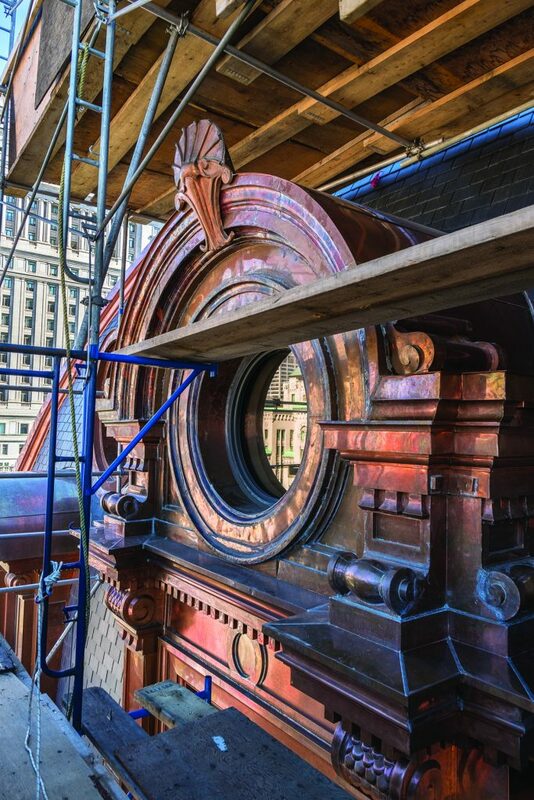 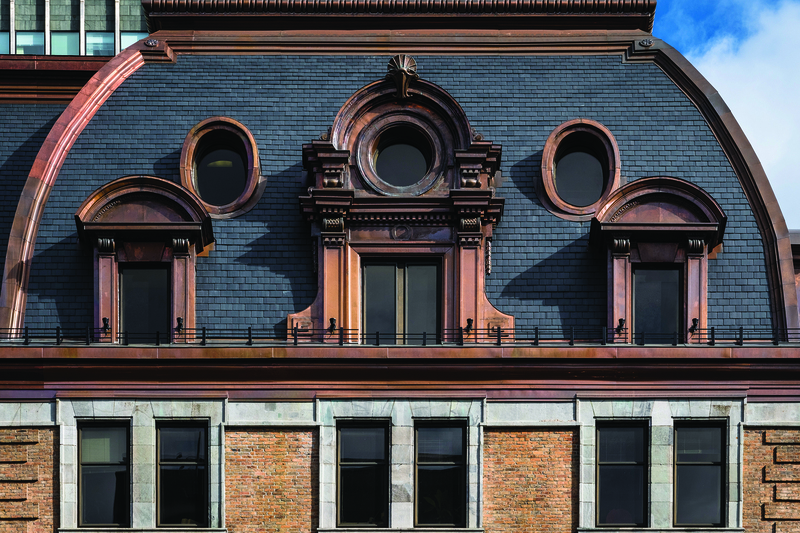 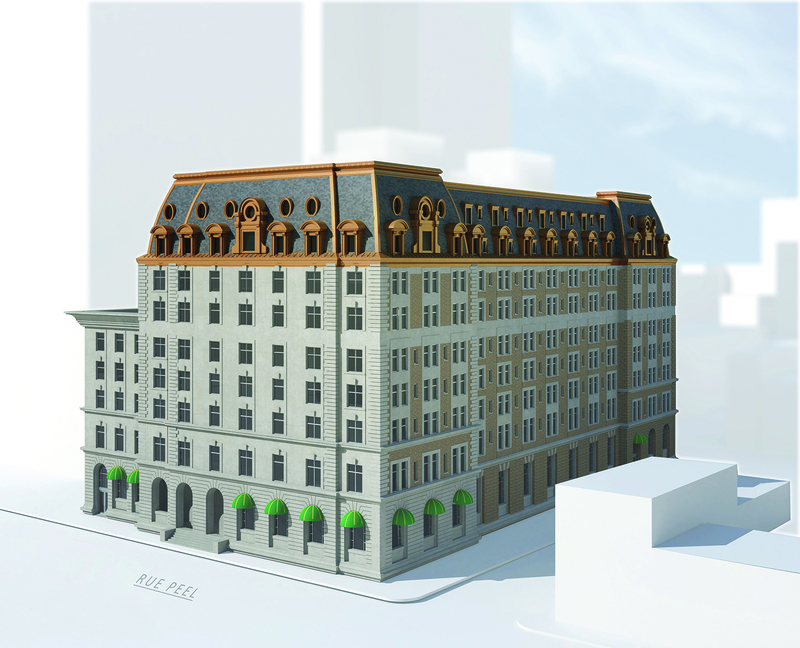 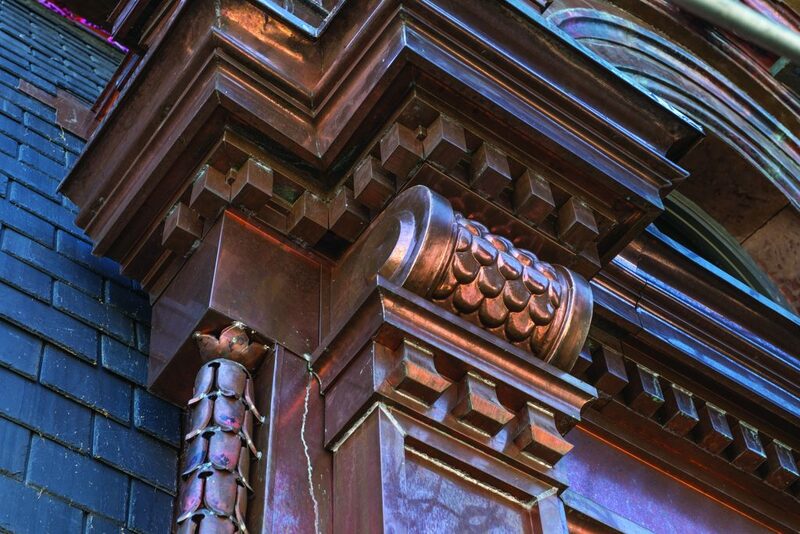 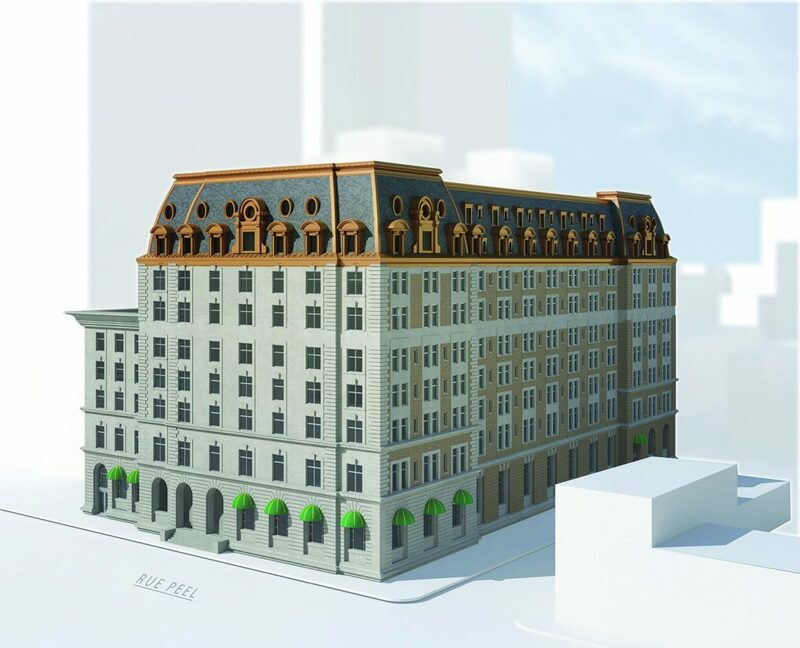 As part of the renovation of the mansard, much ingenuity was required to achieve the strategic assembly of conventional materials while relying on building envelope science. 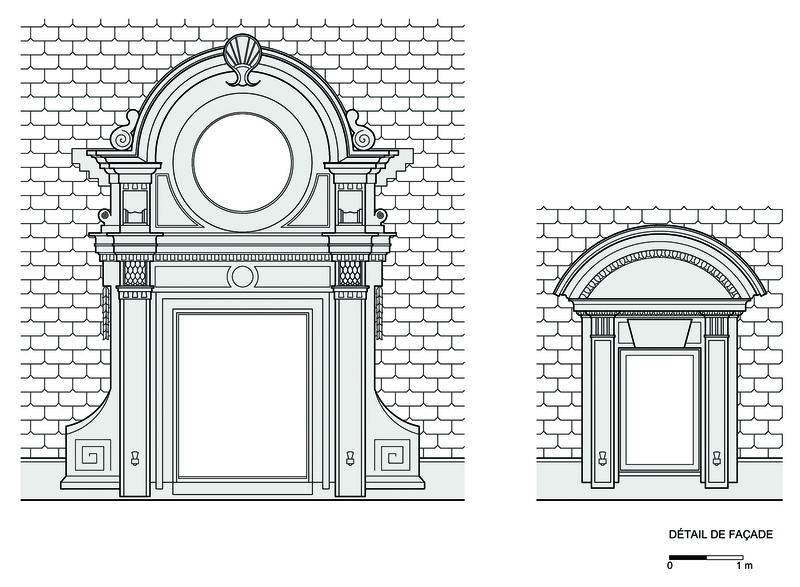 The historical research we have done was helped to guide the design of the project. 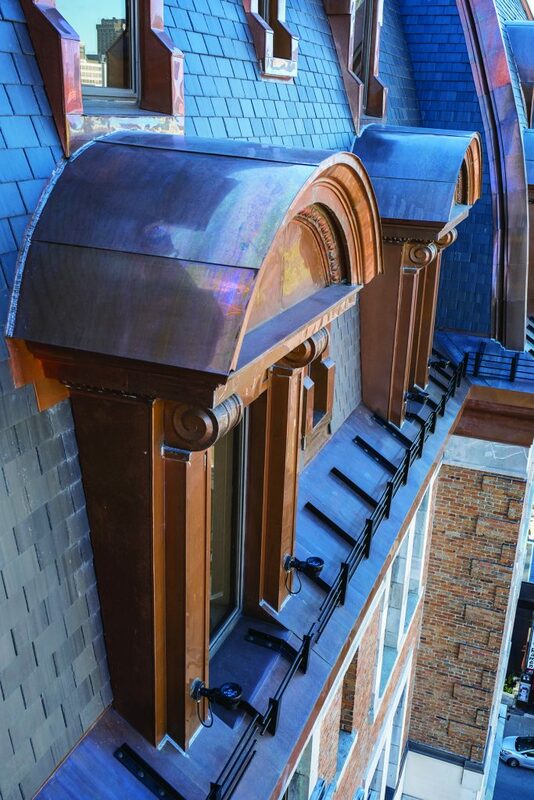 This included; the reintroduction of cut slates to cover the mansard roof and to recover the original material, the replacement of the tinplate of copper on the dormers, oculi, cornices and parapets and finally, the radical transformation of the envelope (with the addition of a ventilated cavity under the mansard) to solve the problem of ice formation on the slopes of the mansard. This construction project took place over an 18 month period. The last slates shingles were laid in September 2016.